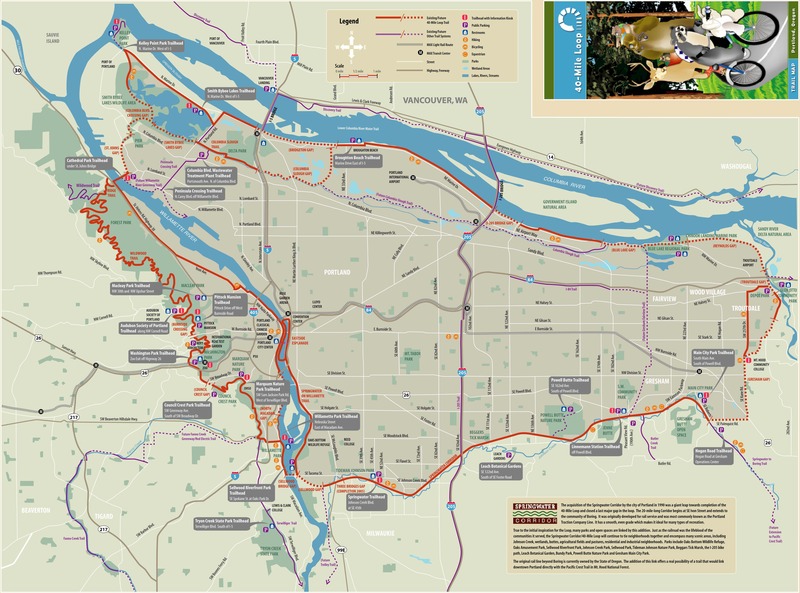 The 40-Mile Loop was originally proposed in 1904 by the Olmsted Brothers who were brought to Portland from Boston to propose a park system as part of the planning for the Lewis and Clark Centennial Exposition and World's Fair. The connected system was to be a 40-Mile Loop encircling the city. 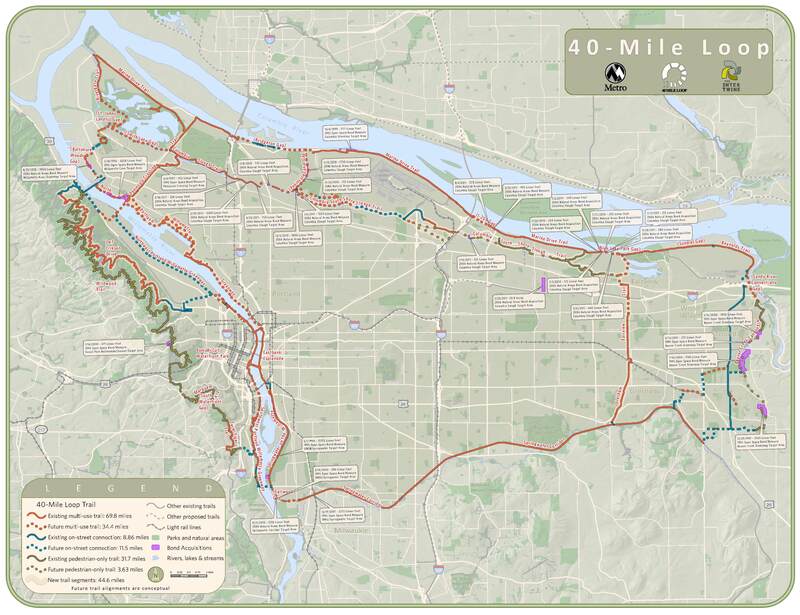 The name, 40-Mile Loop stuck, even as the planned loop trail has lengthened to more than 140 miles to include all of Multnomah County and to connect more than 30 parks. Now, a century later the 40-Mile Loop is nearly complete. The trail connects parks along the Columbia, Sandy, and Willamette Rivers and Johnson Creek in an almost continuous loop. There is something somewhere along the route for everyone, whether it is hiking or biking, whether you're in a stroller or a wheel chair, whether you are skating or boarding or even horse-back riding or canoeing. 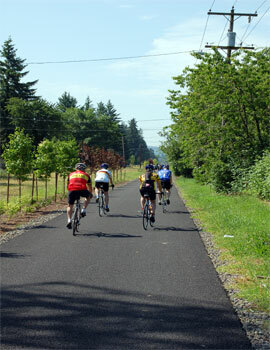 The loop includes accessible trails and nature trails along forest hillsides and overlooking wetlands and wildlife.